The two Colours displayed in the alcoves (Sovereign's Colour - adjacent and Regimental Colour - opposite) were presented to 1st Battalion The Queen's Royal Regiment at Gosport on 10th July 1847. These Colours were laid up after 100 years of service, being paraded for the last time in Singapore in 1947. 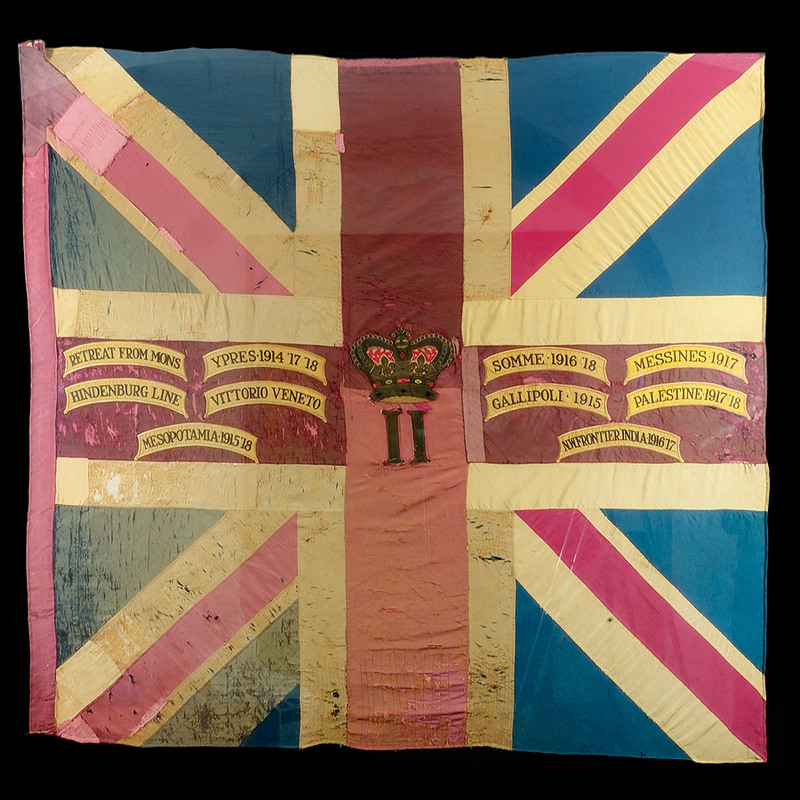 Six foot Colours such as those displayed ceased to be carried by Infantry regiments of the British Army after 1858. They were replaced by four foot Colours, examples of which are displayed within the Museum. The Regiment, under the command of Lieutenant Colonel Curruthers CB was formed up in line on Sunday 10th July 1847 to receive Major General Lord F. Fitzclarence GCH Commanding the District and Lieutenant General Lord Saltoun KCB, GCH, Colonel of the Regiment and the ladies. The Regiment then formed square, the Colours being brought into the centre and placed on the drumhead. The Chaplain of the Forces delivered a prayer; Lady Fitzclarence received the Sovereign's Colour from Major Gilland and presented it to Lord Saltoun with a short speech. The Hon Miss Fitzclarence then presented the Regimental Colour to Major Lloyd and both Colours were then consigned to the custody of Ensigns McCarty and Inglis, the ceremony being closed in the usual form. 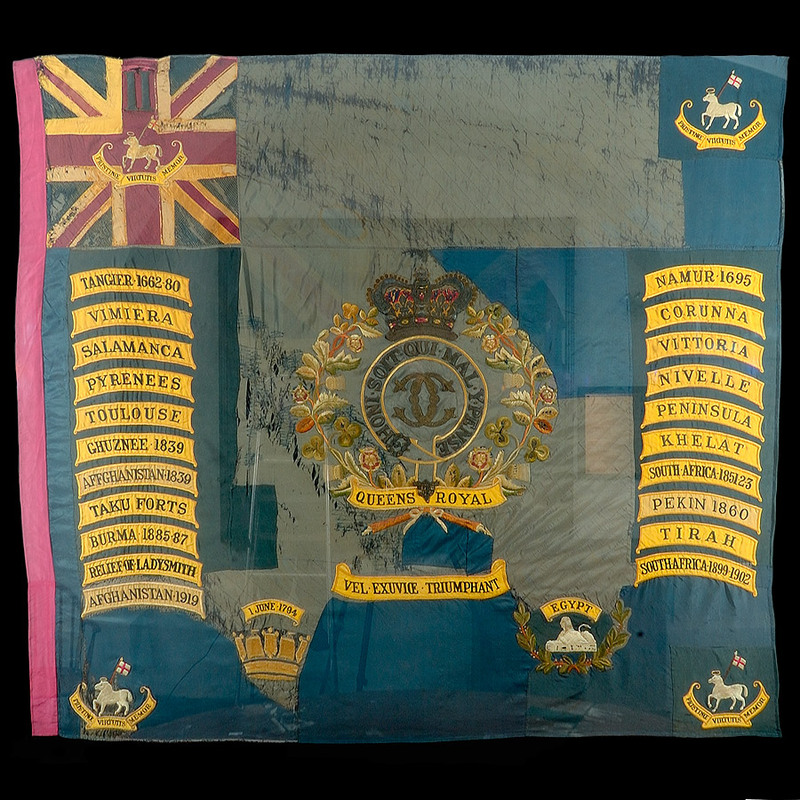 These Colours were the last to be carried into battle by the Regiment since the practice ceased after the first Boer War.